A penny for your thoughts. A Nickel for your memories. My friend Scott Huffines’ mom, Jackie Nickel, passed away on Friday, August 17, 2007 at the age of 65 after a 6-year battle with cancer. All of us expect death as part of the birth-school-work-death cycle, but it always comes too soon. Jackie’s was too soon. Jackie was the coolest friend’s mom I knew. She worked, for one thing, which was unlike other moms. And she worked hard, leaving behind several books and a writing leacy at the Essex Avenue paper. What I liked best about her was that she was truly interesting. You didn’t just make awkward, polite small talk with her, as you did with other parents. You had real conversations, because she was fun to talk to. She knew everything about Essex and most things about Baltimore and Maryland. At parties at Scott’s, I didn’t just say Hi and Bye, but would seek her out to talk about the Essex Cube or Precious the Skateboarding Dog or the proposed Essex Raceway or the inside dirt of local politicians. She was on top of everything and she was sharp. Just like a reporter. Just like a writer. And Jackie treated everybody the same, regardless of who they were or what their title was. 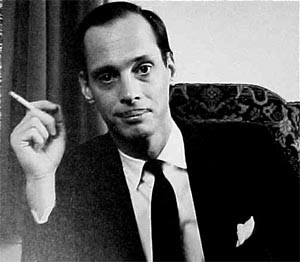 Whether she was talking to John Waters (as pictured below) or a local councilman, a next door neighbor or one of Scott’s weirdo friends (and there were many! ), you were just people to Jackie. I recall Scott telling me how happy Jackie was when, after yet another chemo treatment at the hospital and yet another room change, she was allowed to use her laptop. She hated being cut off from it. She wanted to write. I love that image of her in the hospital still trying to produce output, to generate ideas. That’s the image I’ll recall of Mary J. Nickel. She wrote a lot in her lifetime. Thank God we have that left to stay with us, to carry on the conversation, to leave us with food for thought. NICKEL , Jackie On August 17, 2007 Jackie Nickel; devoted mother of Scott Huffines and his fiancé Kristin, John Huffines and his wife Carolyn, Michael Nickel and his wife Christina; dear grandmother of Thomas Nickel. A Private Cremation was held. The family will receive friends at the family owned Bruzdzinski Funeral Home P.A. 1407 Old Eastern Avenue, Essex at Route 702 (beltway exit 36) on Wednesday from 5 to 9 pm. A memorial service will be held at 8:30 pm. The public is invited to attend the interment of cremains in Oak Lawn Cemetery on Thursday at 11 am. In lieu of flowers memorials in her name to The Chesapeake Bay Foundation or Saint Jude Shrine will be appreciated. To head in the right direction, we have to look back and see where we’ve been successful in the past. I find so much pride in the people of Essex and Middle River. They have never forgotten their contributions to the nation in times of war and peace. We must pass this pride on to our ancestors and future generations of residents, especially those new to the community. Baltimore County’s Office of Community Conservation supplemented the book’s printing and design costs with a grant of $2,000. According to the Essex-Middle-White Marsh Chamber of Commerce, copies of the book will be included as a welcoming gift to new residents of WaterView, compliments of Mark Building Co. Memories of ‘Old’ Middle River is carried by the Enoch Pratt Free Library and the Baltimore County Public Library and originally was available these select stores: Martin Aviation Museum on Wilson Point Rd., Squirrel’s Nest Antiques at Eastern Blvd. and Mace Ave., Wallace Engine Co., 1801 Eastern Blvd., Harrison Beauty Salon, Harrison Blvd., Fantasy Glass, Pottery Farm Station, Back River Neck Rd., and at Greetings and Readings. It’s also probably available at the Motion Picture Exhibition in Baltimore. Headley wrote: “Great job on the Middle River book! That’s the way books about neighborhoods should be.” That’s high praise coming from Robert Headley! 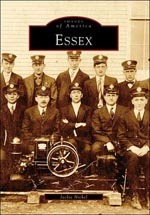 On April 16, 2007, Arcadia Publishing published Jackie’s defining work, Essex as part of its Images of America series. Jackie Nickel has documented stories about her hometown of Essex as a community newspaper editor, reporter, and freelance writer for almost 30 years. A civic activist, officer, and board member of several community organizations, she has forged a deep commitment to the town and a love for the people and places she writes about. Nickel believes that the retelling of Essex’s difficult past will serve to cement community pride and define its future. Mary Jacqueline “Jackie” Nickel, an eastern Baltimore County activist, author and former newspaper editor, died Friday of cancer at Manor Care Health Services in Rossville. The lifelong Essex resident was 65. Born Mary Jacqueline Moore in Baltimore, she moved as a child with her family to Essex, where she spent the rest of her life. In the 1990s, she had her name legally changed to Nickel, which had been the last name of her maternal grandfather, John H. “Hon” Nickel, who had owned the Gayety Theater, the famous East Baltimore Street burlesque house. After graduating from Notre Dame Preparatory School in 1960, she earned a teaching certificate from the University of Maryland, College Park. “She taught at Back River Elementary School and Our Lady of Mount Carmel parochial school,” said a son, Mike Nickel of Catonsville. In the 1970s, Ms. Nickel left teaching and went to work as a reporter for The Avenue News, an Essex weekly, and later was promoted to editor. She left the paper in the mid-1990s and returned in 2000 when she began writing “Around the Avenue,” a weekly column on the editorial page. “She was an Essex icon and an advocate for the community, environment and history,” said Jean A. Flanagan, who is the newspaper’s current managing editor, and who was given her first newspaper job there by Ms. Nickel. “She wanted to preserve both the environment and our local history. She also wanted people in Essex to take pride in where they came from and for new people moving to the community to know where that pride came from,” Ms. Flanagan said. Carole L. Ledley, a longtime friend, recalled Ms. Nickel’s work in land preservation battles. Mrs. Ledley praised her as being “so knowledgeable” and a person who “wasn’t afraid to stand up” for what she thought was right. “I don’t know what we’re going to do now. We’ve just lost the backbone of our community,” she said. Ms. Nickel lived in a Rockaway Beach Avenue home that her grandfather Nickel acquired in 1916. In 2002, Ms. Nickel published Memories of ‘Old’ Middle River: A Loving Look Back at the Town and its People. The photo-history chronicled the community that in the early 1900s, “before marketing consultants, marina studies and development incentives,” she wrote, was a waterfront destination for Baltimoreans fleeing the heat of the city for the cool waters of Middle River. In addition to collecting memories from old-timers of life in Aero Acres and Mars Estates during World War II, for instance, she also used the book to call for the creation of the Middle River Historical District. “The solution involves carefully identifying the most basic elements of wartime Middle River design. The curving streets and cul-de-sacs are still all in place. Many of the houses still have low gables, paired or picture windows, small porches and other original features,” she wrote. This year, Arcadia Publishing published Essex, as part of its “Images of America” series. 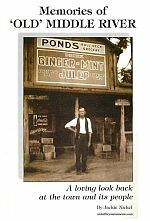 The book contains nearly 200 photographs, many from a personal collection she spent years acquiring, and others from local residents and historical societies. “I’ve never in my life felt so appreciated for anything I’ve ever done,” she told The Sun, speaking of an April book signing, when at least a 100 people arrived at the Essex-Middle River Heritage Society. “People standing in line meet each other, and, if they have any connection to Essex, they find a common thread of conversation. It’s brought a tremendous sense of family,” she said. She was a communicant of Our Lady of Mount Carmel Roman Catholic Church. Her husband of 10 years, Roland Dimeler, died in 1997. An earlier marriage to Carroll Huffines ended in divorce. A memorial service will be held at 8:30 p.m. tomorrow at the Bruzdzinski Funeral Home, 1407 Old Eastern Ave.
Also surviving are two other sons, Scott Huffines and John Huffines, both of Essex; and a grandson. Essex, Md. (Map, News) – The Essex activists needed 24,000 signatures to save the homes of 300 Essex residents. The task seemed daunting. But it was Jackie Nickel’s calm, approachable manner that soothed even those homeowners affected by the condemnation legislation and persuaded more than 44,000 to sign the petition to defeat it. It was that dedication to community that defined Nickel, 65, who died Friday after a six-year battle with cancer, friends and family said. “With Jackie, it was always about Essex, it was always about Baltimore County, or it was always about her neighborhood,” said Brad Wallace, an Essex business owner whose home was saved when voters overturned Senate Bill 509 in 2000. A longtime columnist for a local weekly, The Avenue News, Nickel’s enthusiasm for local politics extended beyond the pages — she was an active member of at least five civic associations, according to her three sons’ count. Her book, “Essex: Images of America,” was released in April by Arcadia Publishing — more than 25 years after she decided to document the town’s colorful story from picnic groves and waterfront amusements to economic decay and back. About 100 people attended a book signing, where it was Nickel’s turn to be interviewed. She told an Associated Press reporter that fans in line shared Essex stories, the type of community spirit that County Councilman Joe Bartenfelder said Nickel relished. “She took pride in her heritage, living in east Baltimore County and in the waterfront,” Bartenfelder said. “I am proud to call her a friend and a supporter,” he said. The public is invited to attend the interment at Oak Lawn Cemetery at 11 a.m. Thursday. Our sister community to the north, Essex, lost a true friend, advocate and journalist Friday with the death of native daughter and longtime Avenue News columnist Jackie Nickel. Even though I’ve read her words for what seems to be most of my adult life, I met Jackie in person only once, a couple of years ago at Dundalk’s Relay for Life. It struck me as funny that she was just as excited to meet me as I was her, because she apparently read my work as avidly as I read hers. But that behavior shouldn’t have surprised me, because it was obvious, through Jackie’s prolific writing, that she thrived on meeting people and cultivating friendships of many levels and intensities. She stood up for her beloved community and fought against issues — like development — that she thought would tear the very fabric of her hometown. Her voice may be silenced, but her message will be heard and her passion will be felt for many years to come. In but a tiny gesture, I offer my condolences to her family members, many friends and colleagues. Jackie Nickel succumbed to complications from cancer treatment on Friday, Aug. 17, 2007. She was 65 years old. It is impossible to put into words the impact Jackie had on her family, friends and the community in which she lived. At the very least, Jackie will be long remembered as a staunch supporter of preserving the natural environment and chronicling local history. Her activities on behalf of the community included serving as past president and board member of the Essex-Middle River Civic Council, board member of the Essex-Middle River Renaissance Corporation, board member of the Back River Neck Peninsula Community Association, member of the Rockaway Beach Improvement Association and board member of the now defunct Essex Development Corporation and Essex Revitalization and Community Corporation. She supported the formation of the Chesapeake Bay Critical Area legislation and was its unrelenting watchdog on the lower Back River Neck peninsula. She was involved in the formation of the first Back River Neck Peninsula Community Plan and was on the committee in the process of updating it. In 2000, she was instrumental of the defeat of the controversial SB-509, state legislation that would permit eminent domain for development in Baltimore County. She worked tirelessly behind the scenes, gathering signatures for the petition that brought the measure to the ballot. Jackie also served as a liaison between the community and developers on many projects. Her goal was always to advocate for the least amount of adverse impact on the existing community and to protect the fragile Chesapeake Bay and its tributaries, coastline and wetlands. Elected officials on the state, local and federal level often requested Jackie’s counsel to gauge the climate in the community. She was a lightning rod for questions, concerns and opinions from the community. She attended every community input meeting she could, and often instigated them. Jackie was also a popular local journalist, a profession she began in the 1970s, after raising a family and teaching elementary school. Jackie began working part-time at The Avenue News shortly after its debut in 1974. She eventually worked her way up to Editor, a position she held until 1995. In 1995, she left The Avenue News to take the Editor’s position at The Essex Times. She remained there until 2000, when she returned to The Avenue News as a freelance reporter and columnist. Her weekly column, Around The Avenue, brought her both applause and distain. 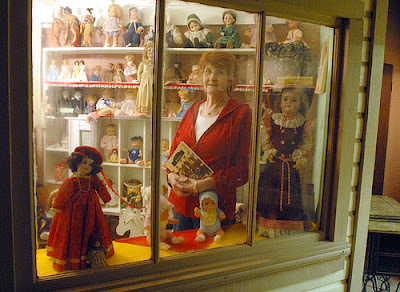 In recent years, Jackie’s passion was the preservation of local history. Researching old newspaper reports, conducting hundreds of oral history interviews and copying thousands of historical photographs, Jackie contributed to or created three publications. 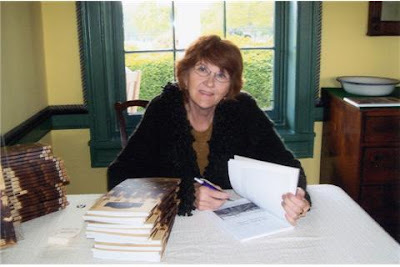 In 2002, Jackie self-published “The History Of Middle River: A loving look back at the town and it’s people.” She sold the books for $5 each, often donating the funds to local organizations serving the less fortunate. In the acknowledgements, she wrote, “For many years I waited for others to record our history. Just a few community-focused booklets grace our local library shelves and larger volumes simply skim the surface. In 2006, she completed “Images of America – Essex” an Arcadia Publication, 130-page chronicle of more than 200 photographs and maps. It tells the story of the place, the community and the people that are Essex. It was her proudest accomplishment. She had begun a whirlwind of book-signings and history talks. Born and raised in Essex, she wanted her neighbors to feel the pride she felt about the origins of our community. People brought her more stories and more photographs. A display of unknown photographs usually accompanied her book signings. “Do you remember who that is?” she would ask anyone who stopped to look. Her intention was to publish another book. Jackie’s first priority and a constant source of pride were her three children. Her oldest son Scott Huffines, and his fiancé Kristen, lived nearby. Her middle son, John Huffines and his wife, Carolyn were very near and dear to her heart. Jackie’s youngest son, Michael Nickel and his wife, Christina were often her traveling companions, most recently visiting the mountains of West Virginia and the Jersey shore. Jackie’s grandson, Thomas, was a constant source of pleasure for her. Ever mindful of the impact her mother had on her three children, Jackie was determined to be the best “Mom-Mom” she could be to Thomas. She was prepared, at the drop of a hat, to accept an invitation to baby-sit and looked forward to holiday gatherings with a special zeal. Whether she was ferrying elderly neighbors to the polls on Election Day or coaxing native flowers to bloom in her yard, Jackie will always be remembered as a strong-willed, vocal advocate for the Essex community. She will be sorely missed. Thanks to Mike Nickel and Scott Huffines for posting these pics. Each year, the Relay For Life of Essex honors someone in the community that has recently battled cancer. The honoree may be a survivor or may be someone who lost their battle too soon. The 2008 honoree is Ms. Jackie Nickel, longtime Essex resident, author and activist. We would like to take this time to celebrate Ms. Nickel’s life and acknowledge her courage in her fight against cancer. It’s a great write-up and yet another testimonial to the life of Jackie, who continues to live on through the memories of her loved ones and to fight for just causes like the ACS’ Relay for Life, even from beyond the grave via her legacy. This just in from Scott Huffines – another Jackie Nickel plaque update from the Avenue News. The name Jackie Nickel still rings bells of fond memories, political fights, and controversial editorials for many ‘Avenue News’ readers and tugs at the hearts of family, friends, former co-workers, and neighbors. Remembering Jackie Nickel is a daunting task. The woman was simply amazing. She was sweet, kind, and caring. Jackie loved helping others, researching history, as well as being a community activist. If she thought something was wrong, she set about trying to ensure it was corrected. In the case of community development, sometimes this meant stopping something from happening before harm was done. On July 28, Jackie would have been 68 years young. Unfortunately she went to her heavenly reward three years ago. However, she is still fondly remembered by so many whose lives she touched. Many of those who remember, especially her Turkey Point/Rockaway Beach neighbors, attended a plaque dedication ceremony in Jackie’s honor on this anniversary of her birth. Many of the local residents agreed. Goodwin welcomed everyone to the ceremony and read a beautiful poem expressing the love and loss felt by those in attendance. Kevin McDonough, local resident and high school student at Our Lady of Mt. Carmel, also spoke of the impact Jackie Nickel had on his young life. He explained how he chose Jackie as the subject of a “Champion of Courage” essay he wrote due to her neighborliness, friendship, wisdom, and her love of history. Jackie’s influence on McDonough’s life has led to his willingness to be an active member of his community, taking pride in his community and environment. He credits her inspiration with encouraging him to always be willing to give back. Jackie’s family, including her beloved grandson Thomas Nickel along with his parents Michael and Christina Nickel were in attendance along with Jackie’s oldest son, Scott Huffines and his partner, Kristen. 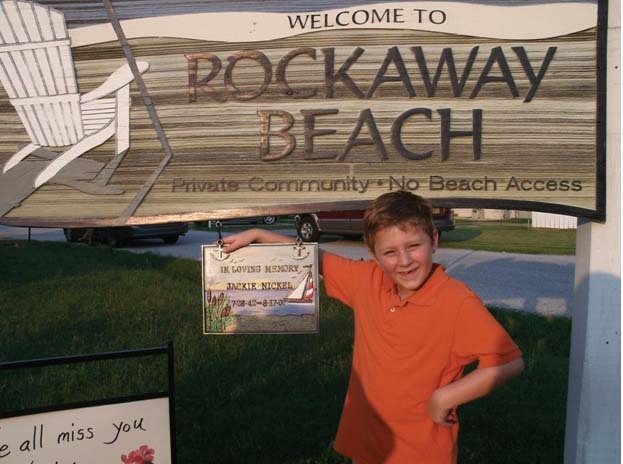 Thomas did the honors of hanging the plaque onto the Rockaway Beach sign at the corner of Turkey Point Road and Rockaway Beach Road. It was noted that Kim Maigetter painted the plaque and her husband Brennan installed the hardware necessary to hang it. Michael Nickel thanked all who attended and shared the family’s appreciation for the love and honor that is continuously expressed by so many for their mother, Jackie Nickel. They are grateful that her legacy continues to shine through those who continue to advocate for those things that Jackie held so dear – the community, the environment, and the pride in knowing one’s history. For those who are new to the area and didn’t know Jackie, just ask around. You’ll hear lots of stories. Briefly, she was proud that her maternal grandfather owned the Gayety Theater in East Baltimore. She was a wife, mother of three, and grandmother of one. She was a teacher at Our Lady of Mt. Carmel and Back River Elementary School. She was editor to both ‘The Avenue News’ and ‘The Essex Times.’ In her semi-retirement she returned to The Avenue News as a weekly editorial columnist and freelance reporter. In 1999, she published “A History of Essex” to honor the 90th Anniversary of Essex. In 2002, with the help of Chesapeake Publishing (The Avenue News’ parent company) and a grant from Baltimore County’s Office of Community Conservation, Jackie published her book, “Memories of Old Middle River.” In April 2007, just a few months before her death, she published her dream book, “Essex,” a pictorial history of the area published by Arcadia Publishers as part of their ‘Images of America’ series. She was an environmentalist, a community leader and activist. Her shoes are too big to be filled! This entry was posted in Jackie Nickel, Seasons, Tributes. Bookmark the permalink. One Response to A penny for your thoughts. A Nickel for your memories. Raised in Victory Villa I instantly recognized Jackie Nickel’s names while looking on the net for information on Middle River. What a treasure trove! Thank you from an 80 year old for bringing back some great memories.